Today’s look screams summer! It actually reminds me of my childhood. 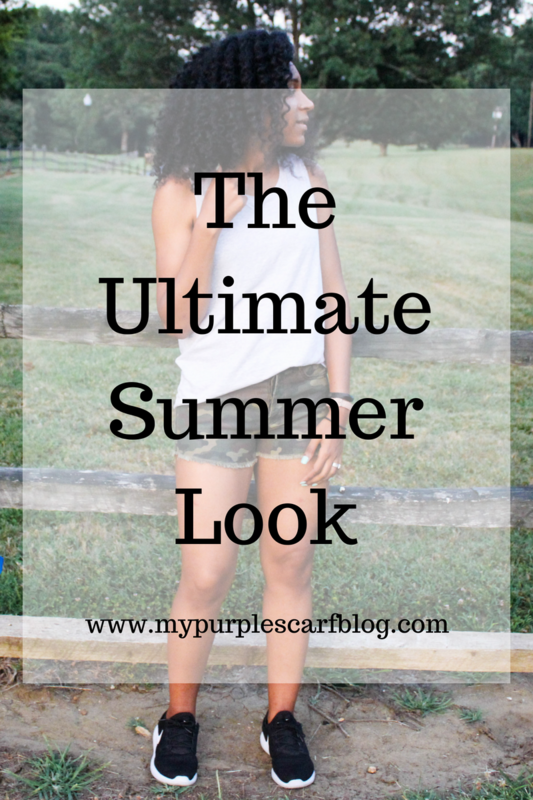 A tank top, shorts, and sneakers were my summer uniform. Back in the good old days, I spent my summers riding bikes, playing tag, and making up obstacle courses. What were some of your best summer memories? Last year I watched a documentary about minimalism. Ever since I’ve been fascinated with the topic. Something about living a more simpler life sounds so amazing. Imagine you won’t have to spend the entire day cleaning and wake up to an immaculate home. Sounds like a dream come true to me. 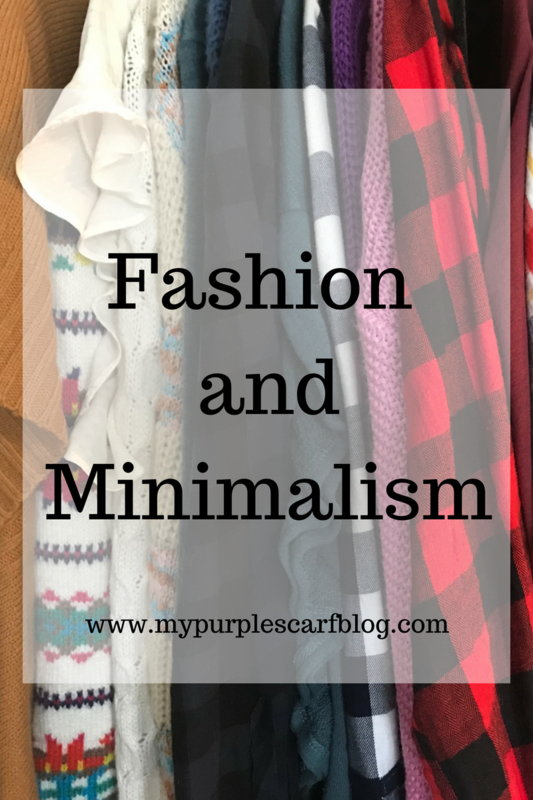 Those of you who love fashion and styling just like me, here are a few ways I like to keep my closet as minimal as I possibly can. Just buy what you need. Having a closet full of 8 v-neck black shirts is unnecessary. If you prefer a black v-neck, get a really good one that will last you through the season. Know your style. I talk a lot about personal style here, but knowing your personal style will take you a long way when building a wardrobe. For example, I prefer a more basic color palette, so when I come across that neon green cardigan, I know it won’t work in my closet and therefore I need not buy it. No matter how cute it may be. Stick to basics. Basics will bring you a long way. Now, if you have to have that neon green cardigan, you could buy it because your basics will make a great backdrop to this cardigan. Don’t keep up with the Joneses. This is what minimalism is all about. Not being sucked into consumerism. 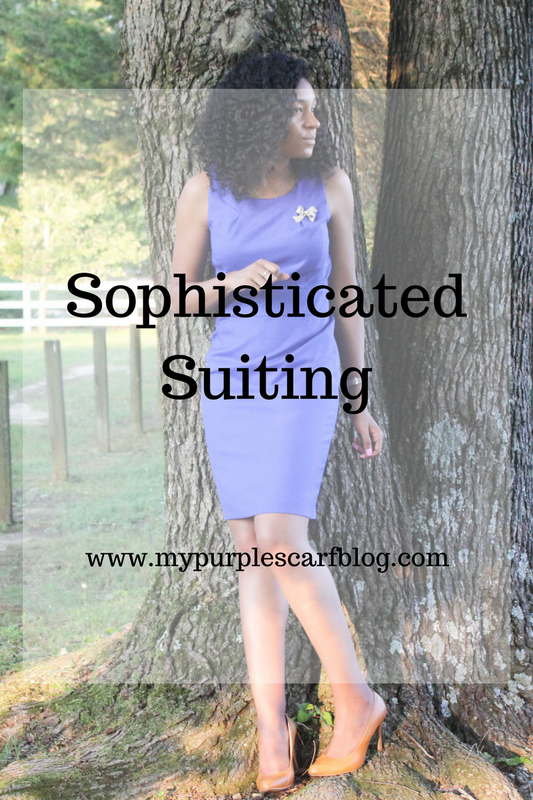 You can have everything you need to style an outfit but not go overboard. You don’t need those Gucci slides in the summer just because everyone has them, the black sandals you already have are just as cute. Discard often. I like to get rid of things very often, simply because I shop a lot. It’s the one in one out principle of minimalism. Overall, if you want to live a minimalist lifestyle you can, but you may just put your joy into your closet. Which is fine because you can do minimalism your way. Can you believe we are in September? This year has gone by so crazy fast. I can’t believe I am looking for sweaters for the fall already. It feels like the summer just started. What are your plans for the fall? I am actually gong to put together a blog post about what I want to do this fall. About this outfit. I found this skirt at the Loft last year, and never got around to wearing it before it became chilly. I have been so excited to wear this skirt now! I love the way it looks with these cute little sneakers form Target. The first time I put this outfit together I was at a marriage retreat for my church, with lots of walking involved. Comfort and style is when I needed when at events like this. Question, what are you most excited about for the fall other than fall fashion? On the typic of fashion let talk about this look. I have had this shirt since last summer and never got around to wearing it. As for these shorts, I found them in the Gap Outlet for SIX DOLLARS yes I had to buy them. Unfortunately, I can’t find any of these items, but I am sure you will be able to make this outfit with what you already have in your closet. Sorry there were to post last week. I was so busy and, I was able to take my photos but then didn’t have the time to edit and upload them. Now it is time for the bounce back! I am here and doing what needs to be done to style outfits for you all. Question for you all.. did you watch the bachelor last night? What are your thoughts? Being honest, it was so annoying. I wanted her to pick Eric, I could feel their chemistry through the screen. It was hard to see him go, but there was still Peter, then there was just Brian. Enough of that… here is the outfit. So I am frugal, and I never buy things full price. That said, when I buy something full price I have to love it, ALOT. So I bought this dress full price from Banana Republic at that. I have been a fan of Banana for years. I love how their clothes fit me. Their dresses are the perfect length. I don’t wear a lot of heels so having my dresses hit right at my knees is exactly what I look for. 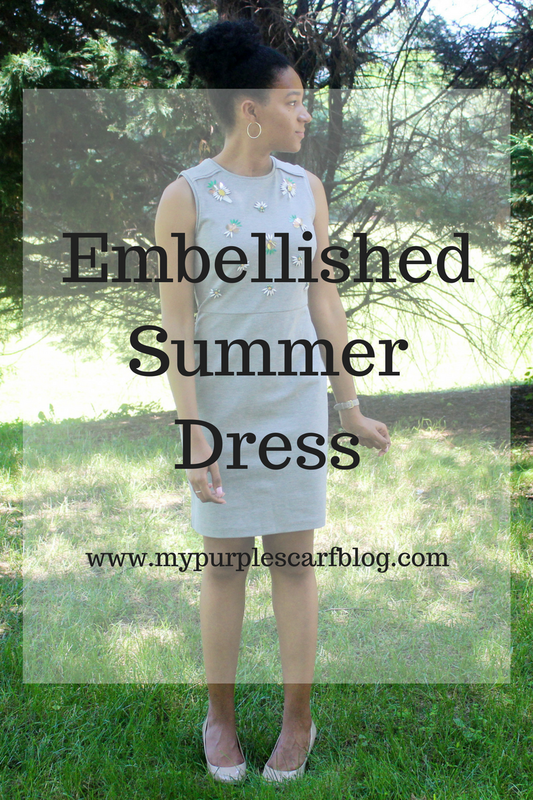 What called out to me about this dress is that it is essentially a basic dress, with a splash of fun. Oh and that is exactly how it wears. It is so comfortable, the fabric amazing! 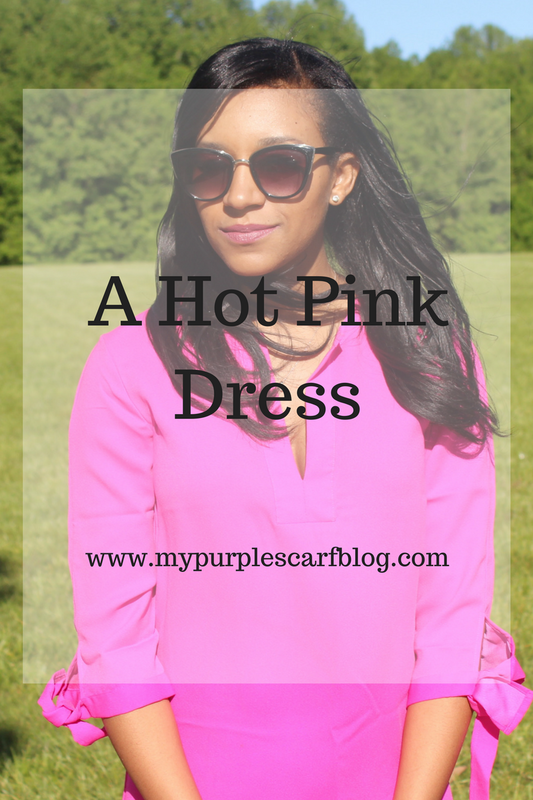 Dress: Banana Republic (on sale!) ~ Shoes: Nine West (old) similar here and here. It’s officially summer!!!! 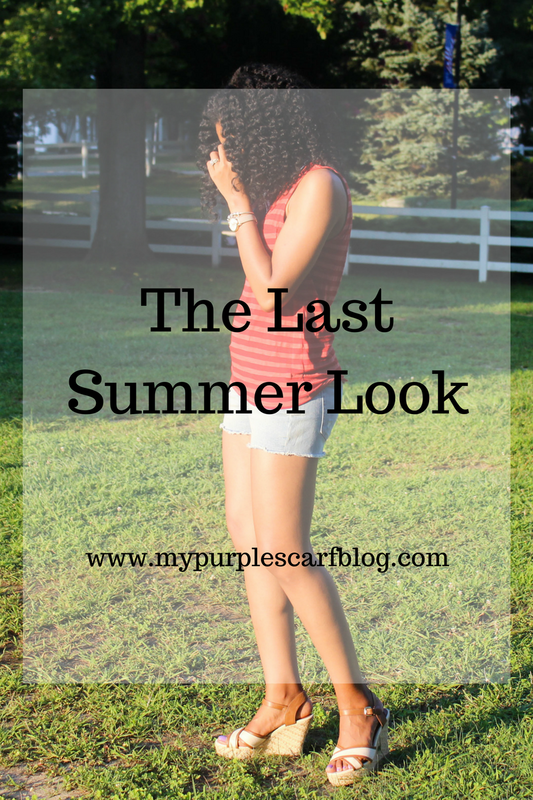 In the summer I love to wear brighter colors. I found this dress a few years ago at TJ Maxx, I actually wore it for my bachelorette weekend. When the seasons change I like to put my clothes aways for the off season, I just pulled this dress out for this season and I realized how much I have missed it. Over the years I have been drawn to color – the brighter the better. One of my favorite things to do Is mixing contrasting colors together. I get a lot of comments that they would never have thought to wear that together (I take that as a compliment!). However, in the past year or two, I have been loving more neutral colors. 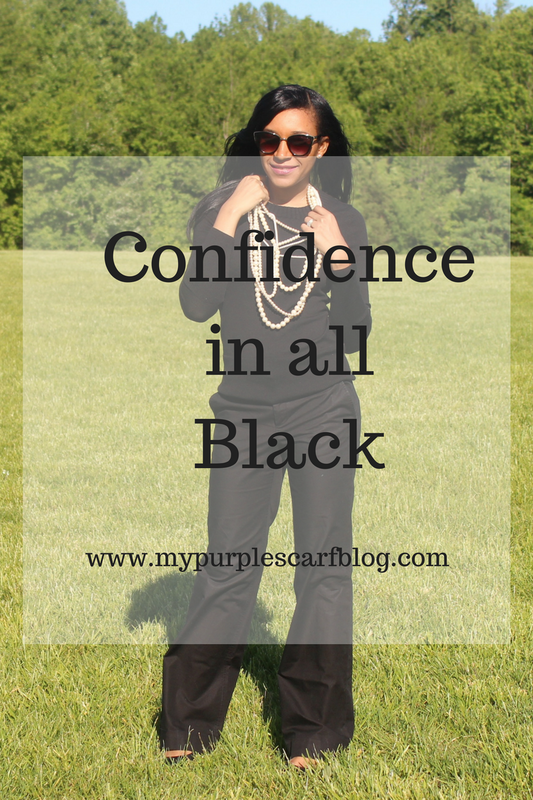 I find all black to be the opitaimity of chic! We can even see this throughout the years. One movie most fashionistas love, “Breakfast at Tiffany’s” when she wore that amazing black dress and pearls. I do, however, consider myself a fashionista, but I actually thought that movie was boring. I watch it for the fashions. With black, by changing the accessories, you can create so many outfits that give you so many looks. 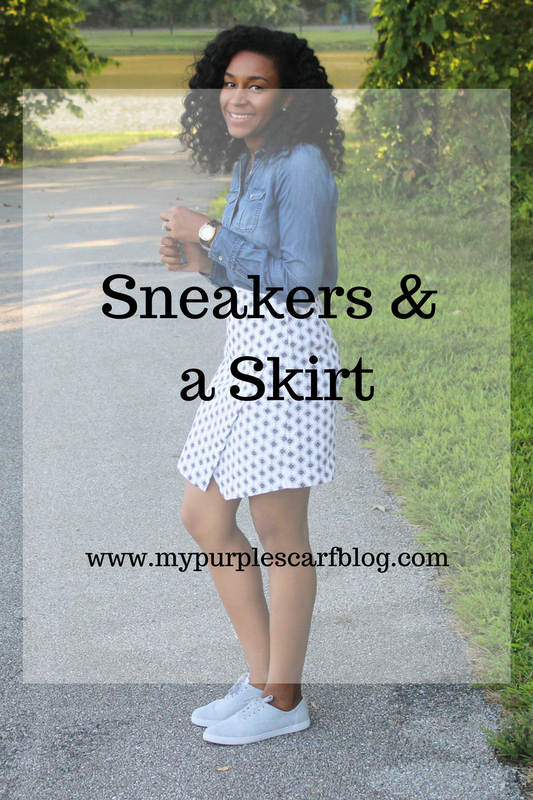 You can have a sporty look when you wear an outfit with sneakers, then with the same outfit have an evening look with jewelry and heels (flats for me tho!). I just love how versatile one color can be. You can even transition it throughout the seasons. I love a simple black t-shirt in the spring and summer. 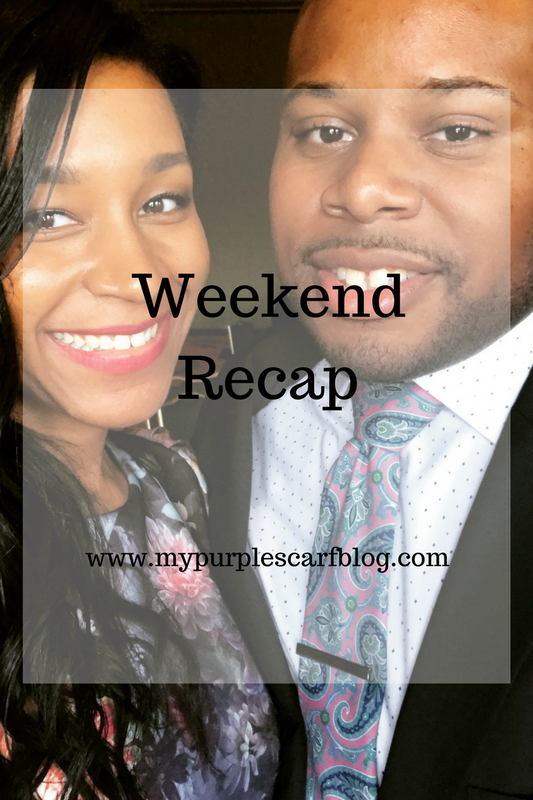 A black turtleneck in the fall and winter has been a staple in my wardrobe forever! It is a cold dreary day here in the DC area. Most of the time you will find me in a trench coat to avoid the chill, but sometimes I just want to switch it up! Welcome my leather jacket. I get so much use out of it and it is really really comfortable. I really wish I would have shown you all a picture of this super cute shirt with out the jacket (it has flutter sleeves). Not to worry, I will bring it back out soon enough. 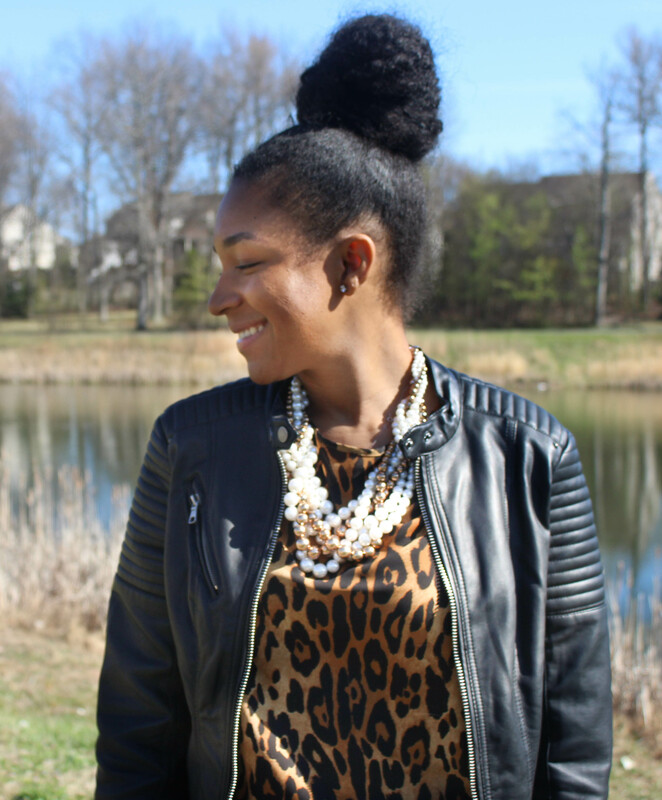 A leather jacket is a great alternative to wear when you just need something to throw on and keep you warm. I love the details of this jacket. Plus it is loose enough to wear a sweatshirt under it if you choose. Also, I would love to start sharing with you all how I repeat my outfits just like any normail person, I wear the clothes in my closet often. Here are some of the repeat offenders in the blog post below.